New year – new trends! The spring fairs show the newest developments of home design in 2015. We offer an overview of the most important dates and fair novelties. Let’s look at the most important spring novelties of 2015. We will be visiting the fairs in the following weeks in order to present the newest and most exciting products. Here are our outlook for the most important dates. One of the most important fairs of design and furniture is the imm cologne, which already starts in January: More than 1,000 exhibitors are presenting their newest products there. Eleven halls divide the fairground into segments starting with young designers over textiles, global design and modern minimalism. The area “LivingKitchen” is focussed this year and the visitors will experience a great program surrounding the fair- There will be something for everyone, as soon as the fair opens its gates from the 19th to the 25th of January. The most important home design fair of France of 2015 takes place in Paris again. Everything concerning interior furniture is presented on the Maison & Objet from the 23rd to the 27th of January: furniture, decoration, kitchen articles, modern handicraft items and accessories come together in there, organised in different halls according to their theme. The Ambiente takes place from the 13th to the 17th of February: Welcome on the world’s bigges consumer goods fair! Dining, giving and living are the three big themes of this fair, which takes place in Frankfurt am Main, as always. 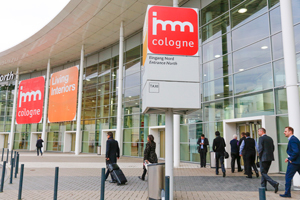 More than 4,000 exhibitors present all the possible novelties and trends of the whole world. Focussing sustainability in design this time. 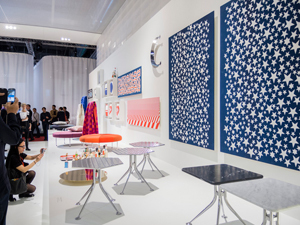 Another traditional fair is the Salone Internazionale del Mobile, taking place from the 14th to the 19th of April. The Milan furniture fair exists since 1961 already and it is considered to be the world’s biggest fair of its kind and it still sets new trends every time it takes place. The most important award of Italy is also imparted on this fair: the Compasso d’Oro. The focussed topic of this year is naturalness and powerful colour accents – comfort is in again! Regarding how fast our days are getting by, we long for quietness at home. That’s the reason why wood, leather and warm fabrics like wool get more important. The processing of natural materials can thereby be unusual: Furniture made of leather and wood mustn’t be heavy anymore. Weightlessness in design caught natural materials already. Wood and leather are suitable for warm, emotional colours like the Pantone colour of the year: Marsala. This wine red suits natural materials and it completes rooms with a powerful, balanced sensual tone. But it doesn’t mean that it isn’t allowed to mix it, since everything the people like is allowed – individuality can be mirrored in furniture and style mixtures remain unbeatably modern.